Stefanie Bailer is a Professor of Political Science at the University of Basel. She has widely published on the topic of preference formation in international negotiations and EU institutions negotiations using quantitative method (such as factor analysis) that will be applied in this project. 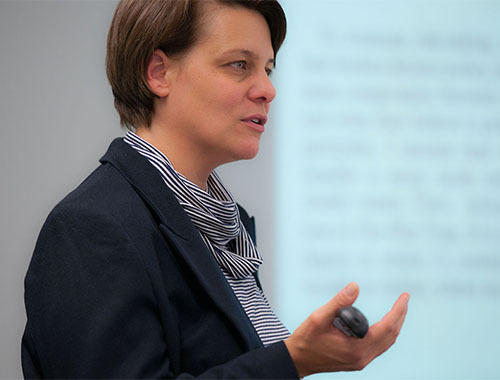 She has led various research projects that investigated decision-making in international institutions and German politics. Among others, Professor Bailer also contributed to the DOSEI research project, which (as this project) investigated member states’ positions in EU negotiations. With her distinguished project and research experience on the topic of international negotiations in EU institutions, she provides invaluable expertise for the execution of the empirical part of the project as well as for the project’s methodological challenges. Furthermore, Professor Bailer is an expert on German politics and is thus an excellent scholar to cover the German case. She has, besides the mentioned academic credentials, also consulted decisions makers at the EU Council of Ministers and the European Parliament, which is of relevance for the execution of the interviews and the effective communication of the project’s findings. Daniel Finke and Stefanie Bailer (2018). Crisis bargaining in the European Union: Formal rules or market pressure? EMU Choices Working Paper. Silvana Târlea and Stefanie Bailer (2018). Technocratic Governments in European-wide Policy Negotiations. EMU Choices Working Paper.